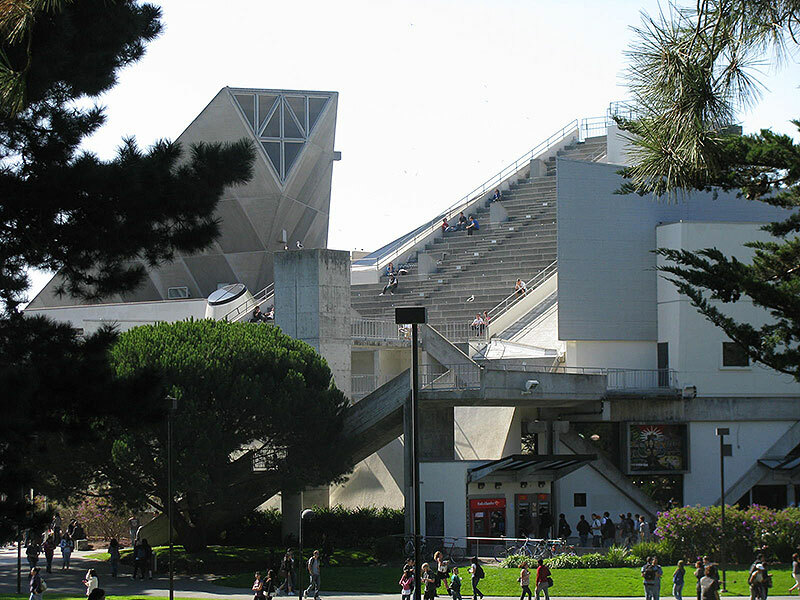 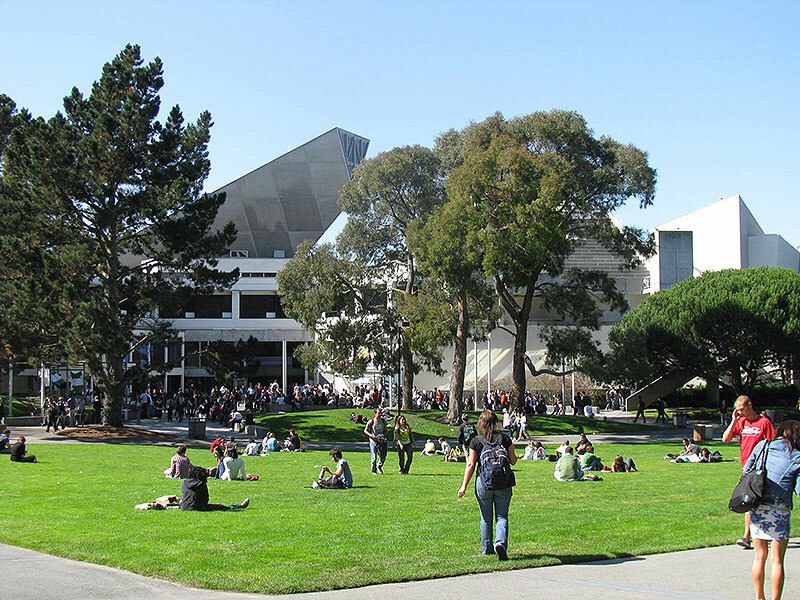 The Student Union was one of the controversial means by which campus authorities sought to undercut the possibility of any recurrence of the Strike of 1968-69. 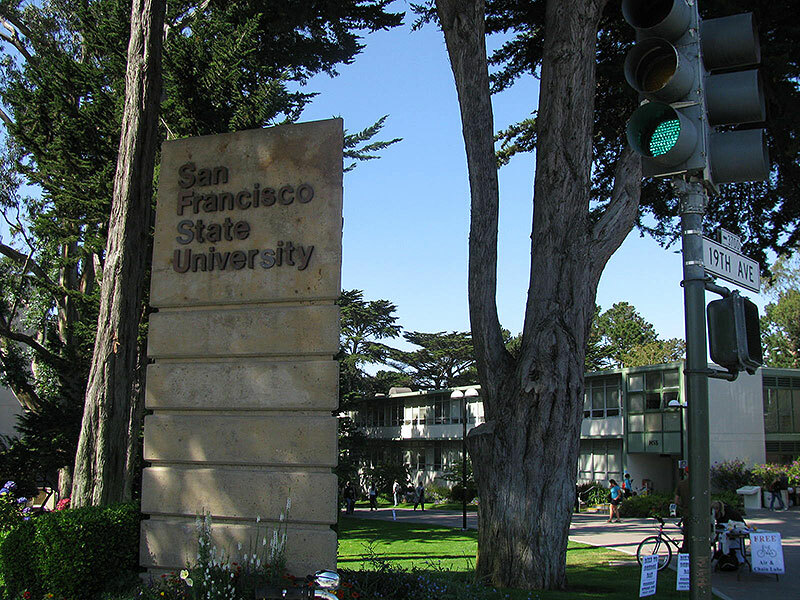 Gateway to the campus of San Francisco State University at 19th and Holloway, 2008. 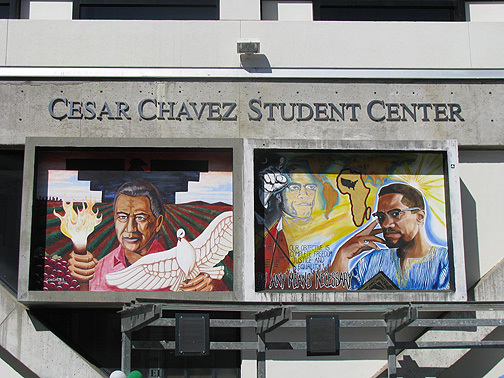 These murals sparked their own controversy in the 1990s when they were first installed.